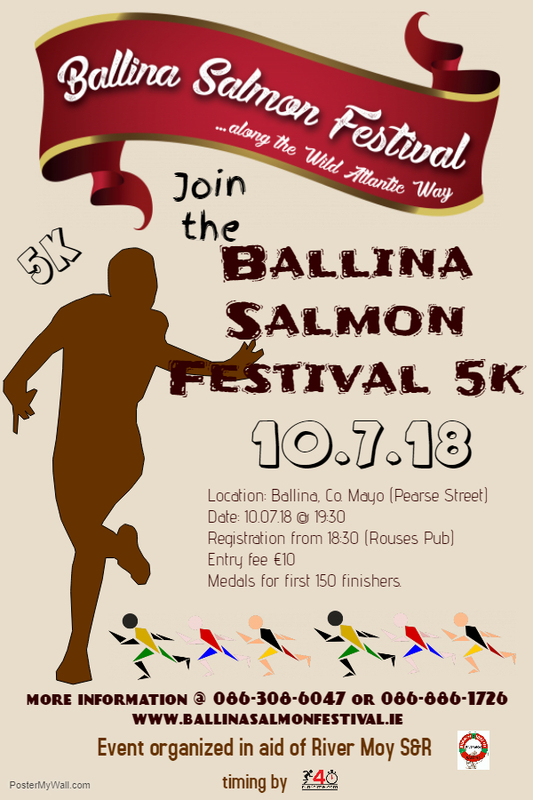 Join the Ballina Salmon Festival 5k race on its lovely route around scenic Ballina. 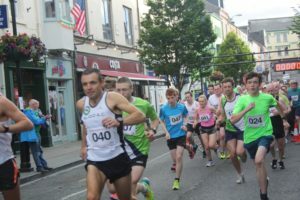 The annual Ballina Salmon Festival 5k race has become a favourite event in the festival calendar, and is held in aid of River Moy Search and Rescue, a voluntary non-profit organisation that serves the local community. €15 per family (2 adults and U14-U18 participants). The race is fully timed, and the route, returning to the finish line along the River Moy is pleasantly flat and scenic so what better event at which to aim for a personal best! Although the title states that it is a search and rescue organisation, River Moy Search and Rescue is in fact a search and recovery organisation. The organisation consists of a group of volunteers who will help in a search for somebody who may have been tragically lost in an inland water body. The principal objective is to perform search and recovery work on the River Moy in Ballina. The River Moy Search and Rescue also conducts a phenomenal amount of river bank clean-ups while on training missions, working quietly behind the scenes to ensure that our beautiful River Moy remains safe for our wildlife too.